2019 Family Fun Event – Mother’s Day weekend! 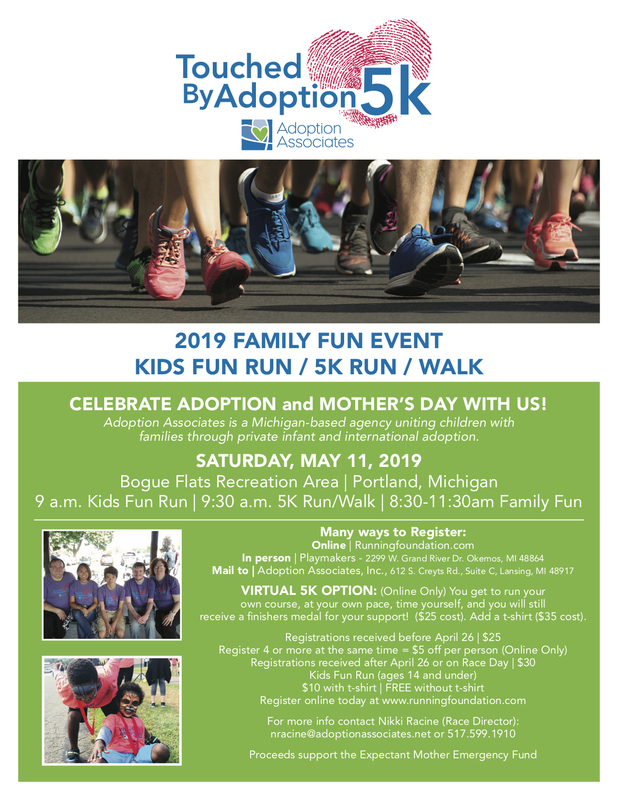 We would love it if you join us for our 8th annual Touched by Adoption 5k on Saturday, May 11, 2019! This family-fun event is filled with awesome activities the whole family will enjoy! The kids fun run is free for kids age 14 and under. Try the Virtual 5k option if you aren’t able to make it there in person. You get to run your own course, at your own pace, time yourself, and receive a finishers medal for your support. Proceeds support the Expectant Mother Emergency Fund. 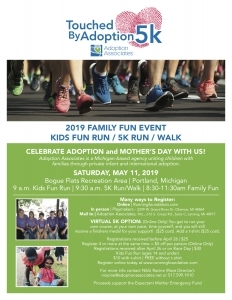 REGISTER NOW and mark you calendar for Saturday, May 11, 2019.